If you are planning to change your current job or planning to go for a new professional educational course, you would be thinking about the future opportunities and the growth of the industry you would be stepping into. Lets see what can be the top best paying jobs in the future. 1. Financial Personal Advisors : Financial planners/advisors are those who help individuals or organizations to take financial decisions. They help people them in taking a best possible when it comes to investing in real estate, family budgeting and investment plans. They also help them to live with financial discipline. They can also suggest on how to manage expenditures, loans and repayments. These jobs are increasing with a better rate as there are lot of people who are open to take experts suggestions even before starting a small task. 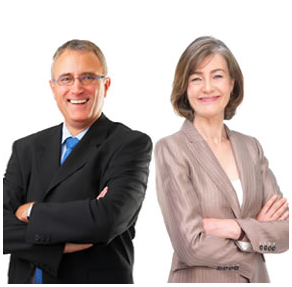 The financial advisors can be salary based or freelanced. 2. Civil Engineers : These jobs are expected to grow at the rate of 2.5 times faster compared to other engineering jobs. The country needs alot of infrastructure development and civil engineers play a vital in that. The ever growing population demands transportation services, bridges, tunnels and other real estate related works. Civil engineers oversee industrial, municipal and transportation development. 3. Computer System Analyst : Computer has become one of the most important infrastructure in every organization now and every in every firm computer is essential as communication and file sharing is cheaper and easier. The computer system analysts also maintain web security and hence a huge demand is expected in this field. The world needs more and more skilled computer system analysts and millions of jobs are expected to be added by the end of this decade. 4. Software Engineers : Well, the last decade has been a heavenly period for most of the software engineers. At least the same level of growth can be expected if not more than that. One of the main reasons for that is the ‘age of mobile applications’. The cloud computing and mobile applications have made their unique space. Millions of people, especially youth are downloading millions of mobile applications every year and has become a craze now. 5. Market Research Analysts : They work with large organizations and help them in predicting the demand for their product in the market. They give an idea about the demographic and target audience of their products and services. These analysts do a lot of research and observation. If you are practical minded person, this could be a good job for you.